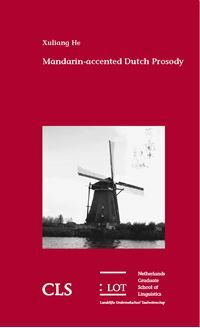 Madarin - accented Dutch Prosody The dissertation reports on two perception experiments ( Experiments 1 &amp; 2 ) and three production experiments ( Experiments 3 , 4 &amp; 5 ) that explore the phonology and phonetics of the prosody of Mandarin - accented Dutch . Experiment 1 was conducted to see how well Chinese speakers of Dutch ( CSD ) identify the correct accentuation patterns in Dutch sentences , while Experiment 2 explored the extent to which they are able to identify the most appropriate intonation contour for sentences in context . Experiment 3 studied their choice of intonation melody in the production of seven â intonational idioms â . Experiment 4 investigated how CSDs produced Dutch monosyllabic Falls , Rises and Fall - rises under variation of the availability of sonorant sounds . Experiment 5 studied how different types of focus affected the pronunciation of falling intonation . The perception experiments showed that CSD do not know what intonation pattern to use and what words to accent when faced with contextualized sentences . This finding reveals that CSDs could not be expected to produce correct prosody in Dutch even if their command of the phonetics was perfect . Experiment 3 showed that this conclusion is correct on the basis of a production experiment , where CSDs failed to produce the right melody in â intonational idioms â . Together with Experiments 4 and 5 , this experiment also showed that CSDs do not command the phonetic routines used by native speakers and often transfer L1 prosody to their Dutch . The one exception was the lack of any transfer from Mandarin in the pronunciation of pitch falls as a function of focus . This dissertation will be of interest to all those working on phonetics , prosody , Dutch and Mandarin Chinese phonology as well as second language acquisition .